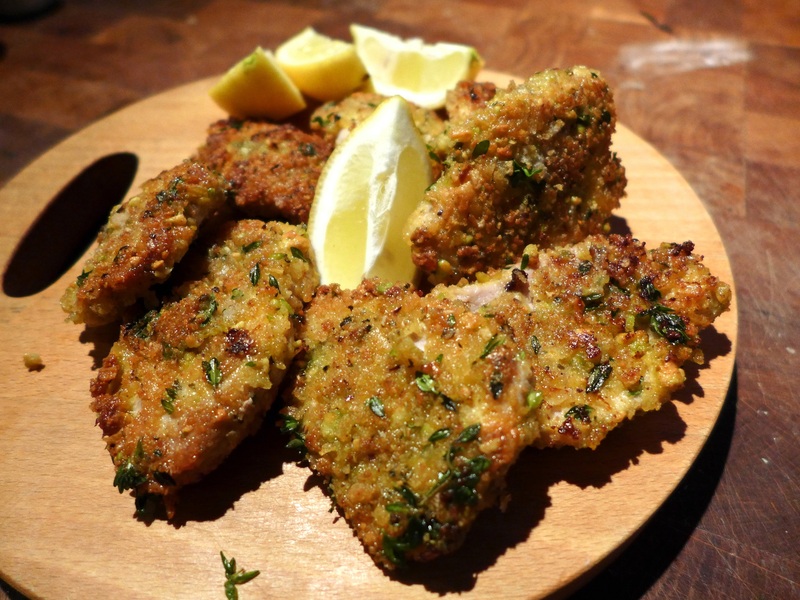 A bit like a schnitzel but with a nutty, zesty, herby crumb, these take minutes to make and cook and are really quite addictive. Serve them with lots of lemon to squeeze over. As pork fillet usually gets thinner towards the end, the medallions won’t be all the same size, but as long as you keep them the same thickness they’ll cook at more or less the same pace, so they’re crispy on the outside and juicy in the centre. If I’m cooking for two, I keep the thinner end sections for another dish such as a stir-fry, where a little meat goes a long way. Any leftover crumb makes a good topping for a vegetable gratin or will freeze for up to a month, though I’d probably add a bit more lemon zest after defrosting. Remove any tough silvery skin from the pork fillet then cut it into thick rounds about 1cm wide. Sandwich between two sheets of plastic wrap, slightly spaced, and bash gently with a rolling pin until the medallions are about half as thick. Put the pistachios and half of the breadcrumbs into a food processor and blitz, or bash in a mortar until reduced to a crumb. 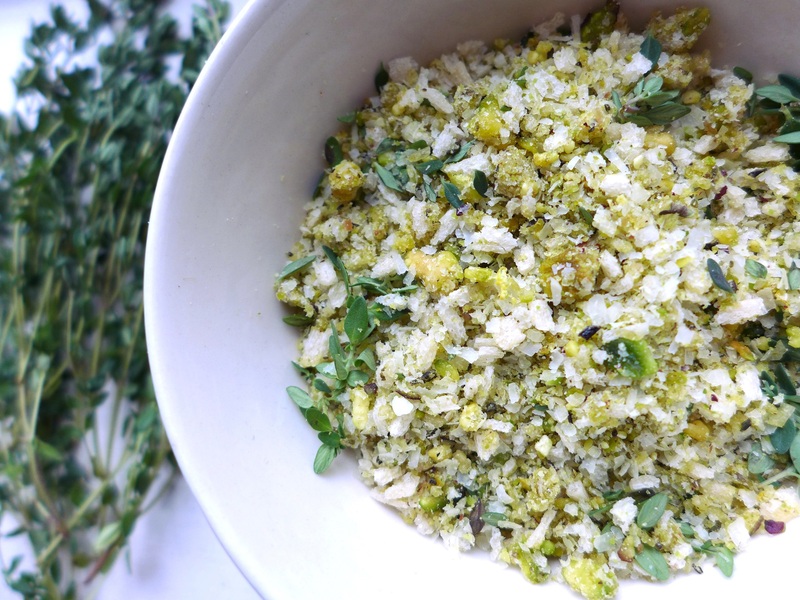 Stir in the lemon zest, thyme leaves, Parmesan and remaining breadcrumbs. Grind in a little salt and pepper. Just before you want to eat, season the pork medallions well on each side with salt and pepper, dust with flour, dip into the beaten egg and coat with the crumb. Heat the oil in a frying pan and fry each medallion until golden brown and crispy on both sides – you may have to do them in batches. 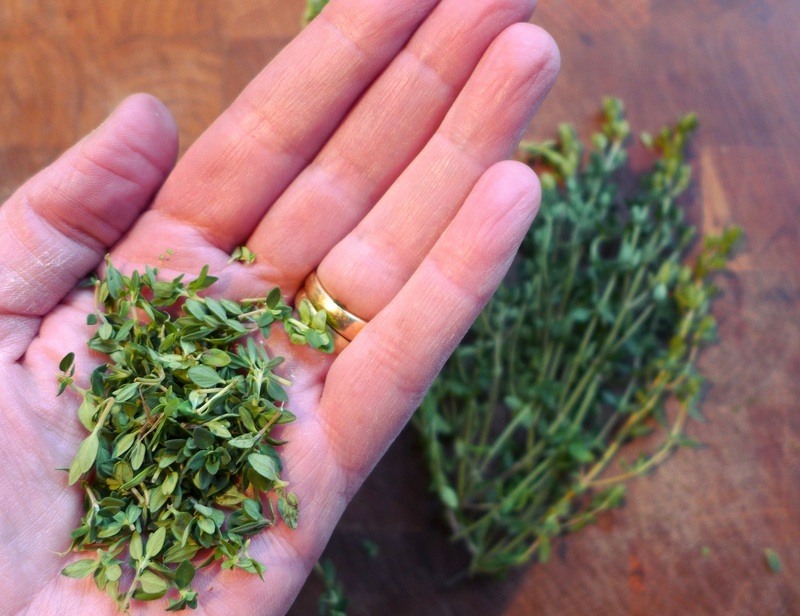 Drain on kitchen paper and let them rest and keep warm until you’ve done the lot, then serve with lemon quarters to squeeze over. Good with a chicory and blue cheese salad, or bittersweet chicory and orange. 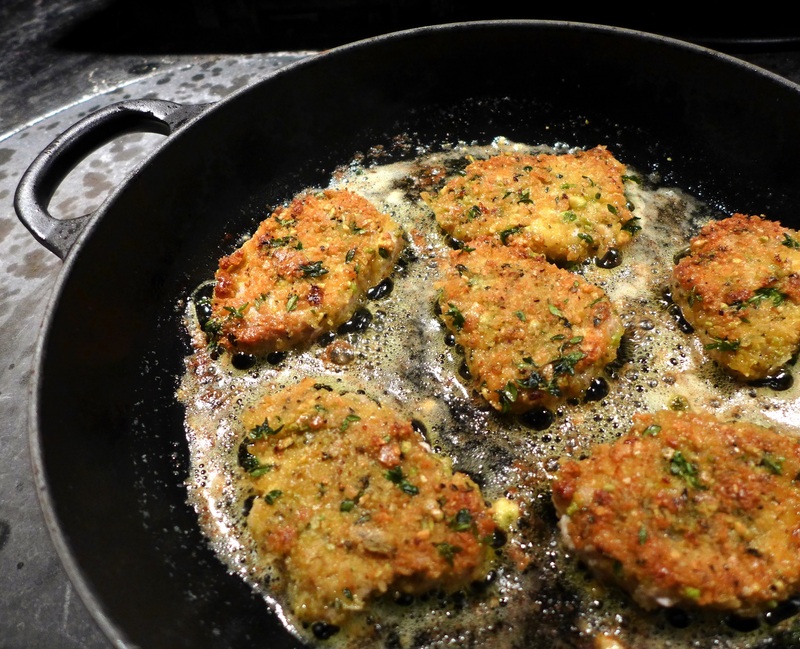 This entry was posted in Mains, Pork, ham and bacon and tagged crispy pork medallions, pork with a pistachio crumb by Linda Duffin. Bookmark the permalink. Sounds delightful. I love anything breaded, really, but this flavor combination sounds particularly nice. How pretty! Pork is the one meat I crave,and these sound lovely with the crust and lemon! Thanks, Cindy. I was really pleased with the way they turned out. Yum! Yes, it’s trite. But what else could I say?? Delicious looking. I have a fillet in the fridge. I’m planning a hassle back pork thing (if I can find any mango).